Your little one will look super smart in this yellow and blue waistcoat and beanie. Hand-knitted by Gro’ma with baby soft wool. Colours may vary from screen to screen. 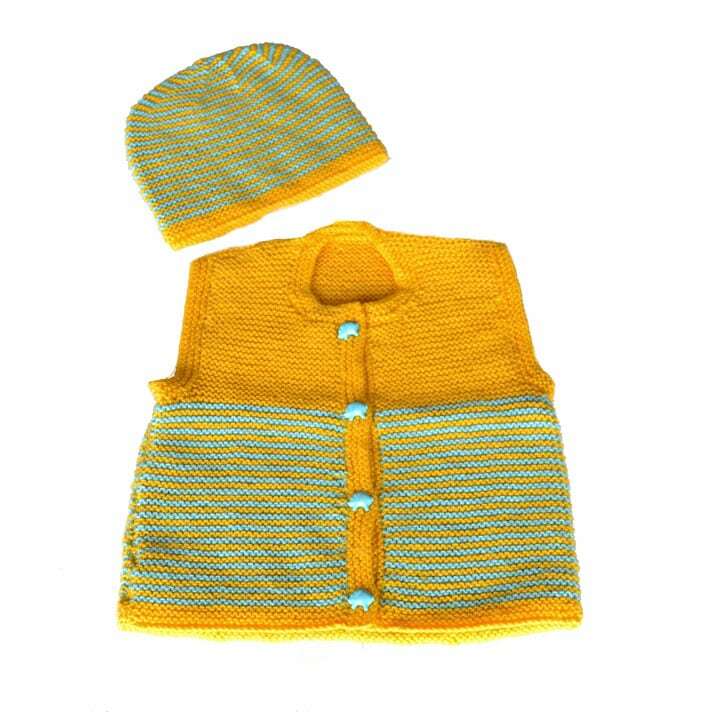 Your little one will look super smart in this yellow and blue waistcoat and beanie. Hand-knitted by Gro’ma with baby soft wool, your little one will be super cozy.